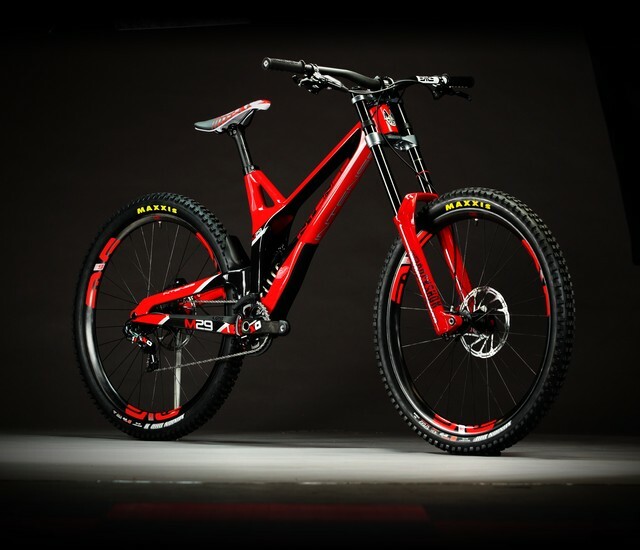 Leading the charge for 29er DH bikes, the M29 has been a decade in the making. Prototyped on the DH World Cup circuit and perfected in collaboration with Cesar Rojo and Cero Design, it's as striking in looks as it is blisteringly fast on the race course. 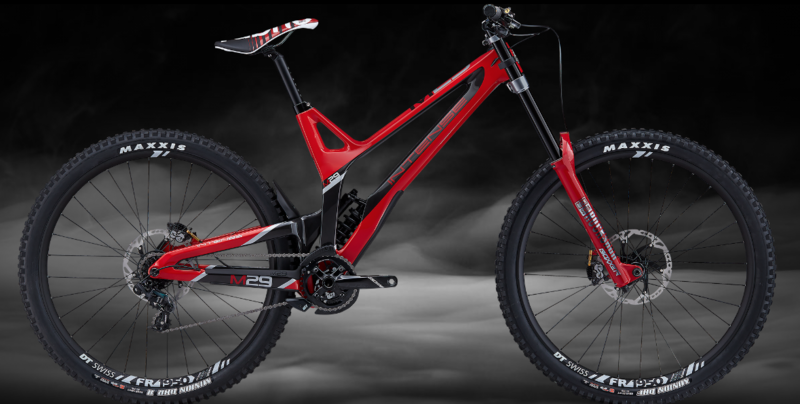 It's the ultimate 29er downhill race bike, built on the 25-year legacy of our legendary M-series line-up. 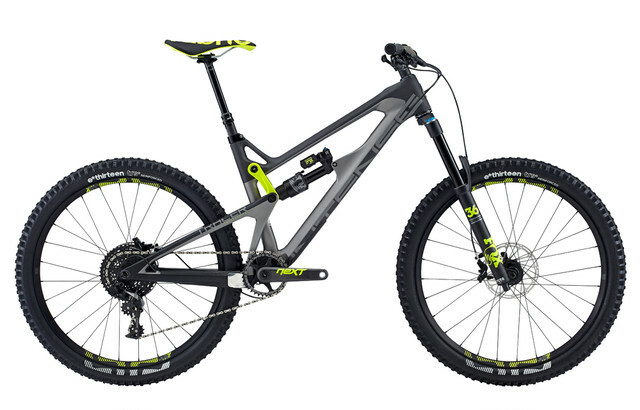 The M29 Elite offers everything you need to go fast over the toughest courses in the world. The stunningly beautiful World-Cup level SL frame frame is finished to the highest possible standard in gloss red and black and features monocoque uni-directional carbon front and rear triangles. 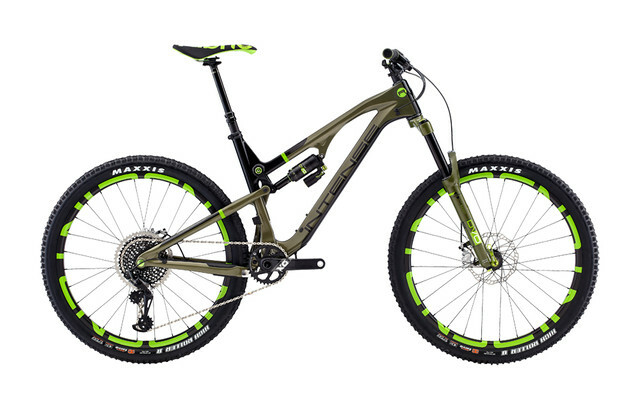 When it comes to spec, we've chosen some of the finest DH components on the market. 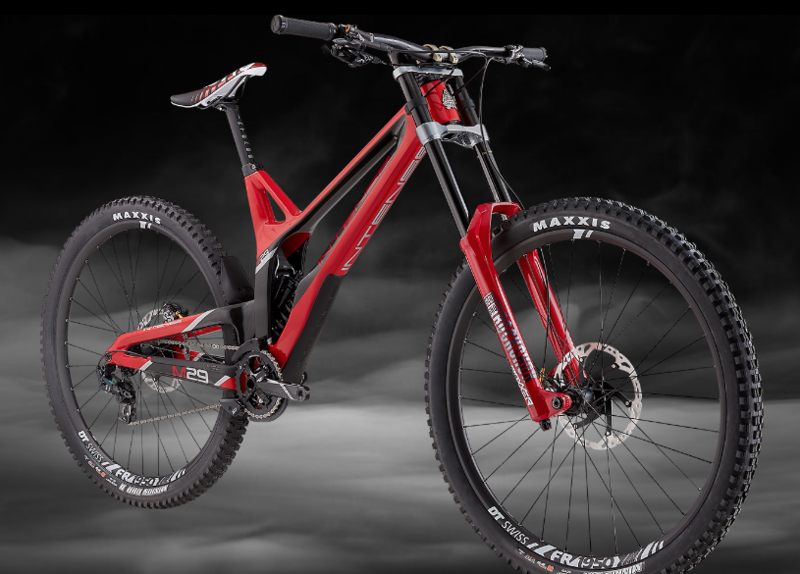 The new 200mm travel RockShox Boxxer World Cup 29” fork, 208mm travel RockShox Super Deluxe Coil shock, DT Swiss FR 1950 wheels and SRAM drivetrain will see you through both racing and gnarly days of training on the mountain. The high-performance suspension will be tuned specifically for you by our own Intense mechanics so you can get straight out on your new bike and ride with confidence. Copyright © Room. All Rights Reserved.